The more I tried to push it out of my mind the more it kept flooding back. The more I tried to focus on the work in front of me the more I kept glancing at the TV. There was a matter of minutes until the 3rd round draw of the FA Cup. There was a matter of minutes until a team’s future could be changed for a decade to come. This buzz you get before the draw, let alone the match, is one of the reasons why the FA Cup is so special. Any diligent reader will know that I am a Cheltenham Town fan. Anyone vaguely connected to the footballing world will know that we have been drawn away against Spurs. I cannot put into words how exciting this is! There is more to being drawn against one of the big boys than the six figure sums that can accompany it (although for any lower league club these sorts of figures are very welcome), it is the chance of being a giant killer. It is the chance to play against the best that the overpriced and overhyped premier league can offer. It is a chance of a lifetime for a player to go down in history. It is a chance of a lifetime for the club to be on the lips of people around the world. 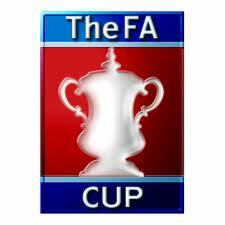 The FA Cup offers the football fan the chance to dream outside of the constraints of league football. It allows us to think the impossible. Perhaps most importantly it allows us to go the White Hart Lane! We know that we are the outsiders, that we stand no hope of progressing to the next round and that Wembley is a far far away dream. But what drives us though is the thought of what if, what if we make, what if we win? This is something none of the supporter of any of the big teams can ever experience. The intensity of this feeling is ratcheted up for every league down your team normally plays in. Even the biggest football haters out there struggle to not get excited when non-league teams take on bigger clubs. This excitement is the pinnacle of being a league football supporter. Here’s to believing. Here’s to the FA Cup.